Backpacks are not waterproof. I have used two different styles of rain covers. My Granite Gear Cloud Cover weighed about four ounces and valiantly performed through the 3rd rainiest season in Maine and countless other weather atrocities. Originally it was much more orange than it is now! Its magical abilities gradually declined after 3,000 miles, so I retired it. It owed me absolutely nothing. I would buy this again. I will buy this again. 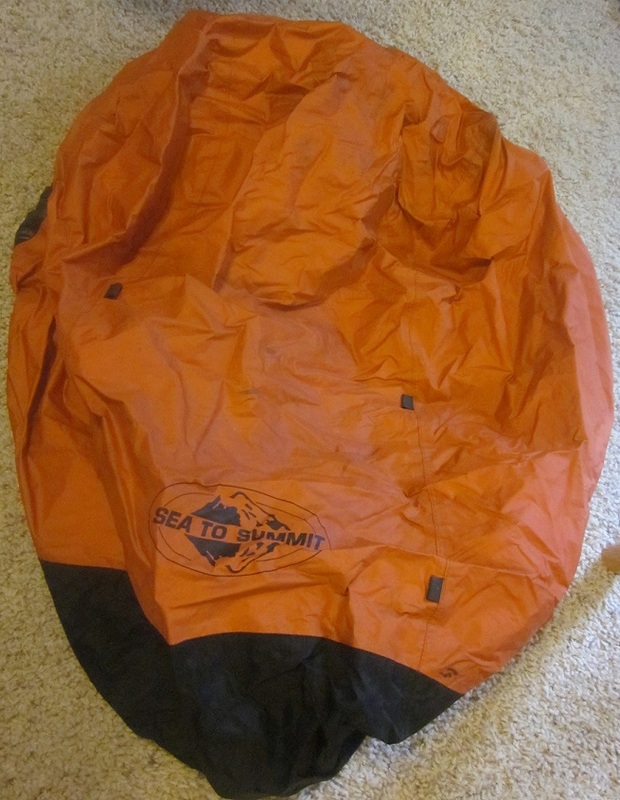 I currently use a Sea to Summit pack cover. It is significantly heavier but performs well. It has acquired a rip after "only" 1,100 miles, but I have demanded a lot from it in those 1,100 miles and the rip will be easy to patch. It's a great pack cover -- just heavier than I'd like. and then splatter down your back. It's okay; you probably need a shower anyway. Choose a larger pack cover than you think you will need. 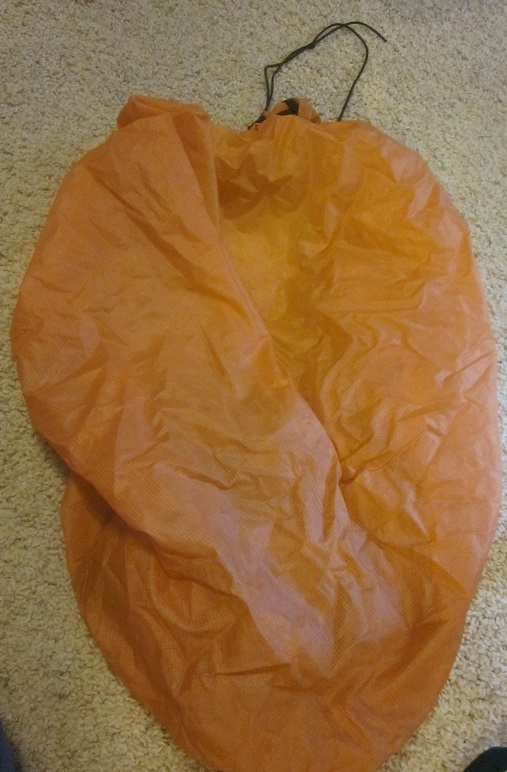 This allows you to dangle stuff off your pack and still cover it - things like camp shoes, sleeping pads, and tents are often strapped to the outside or may be so in a pinch. Usually a larger size weighs no more than an ounce or two extra, and those extra ounces are easily made up on rainy days by keeping your entire pack dry. How orange was my pack cover. No matter how big your pack cover is, your shoulder straps will get wet and water may drip down between you and your pack. I occasionally hike with a lightweight poncho and use it in a true downpour. This simple, cheap, lightweight gear keeps my pack and my straps extra dry. I have always purchased orange pack covers because I feel that, even if not blaze orange, the color sticks out enough to help me not get shot. Additional precautions are needed during hunting season, but every little bit helps.